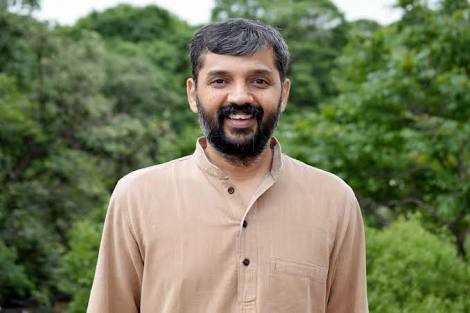 Sections of the Indian Institute of Managements (IIMs) across India have strongly reacted to the decision to censure Dr Deepak Malghan, a faulty at IIM-Bangalore. Prabhir Vishnu Poruthiyil, who is faculty at IIM-Tiruchirapalli, has sought wider solidarity with Dr Malghan, saying, “The administration has censured Deepak for merely suggesting a meaningful action against Hindustan Unilever for their abysmal environmental record” by “disinviting” it for campus placement. Following Poruthiyil plea, the Human Rights and Business Network of India (HRBN-I) has created a petition in support of Dr Malghan, to be sent to the IIM-B board. HRBN-I, which is a civil society network working on issues related to business and human rights in India, has called Dr Malghan a “recognized scholar”. HRBN-I adds, “This issue is disheartening because it exposes once again the narrowing of spaces for critical research in Indian academia, and more specifically the usurpation of business education by corporate interests.” HRBN-I has asked concerned citizens to endorse the petition and send suggestions for further suggestion by emailing at hrbn.india@gmail.com till Friday, January 11, 2019. The Human Rights and Business Network is a coalition of academics, civil society activists, journalists, and indigenous groups created to defend the human rights of precarious communities in India. Due to the nature of its work, the HRBN is acutely aware of the rapidly decreasing spaces to discuss and debate development trajectories premised on the denial of human rights of the weaker and voiceless sections in India. Given the already bleak context, we are alarmed at the recent actions taken by the administration of the Indian Institute of Management Bangalore (IIMB) to censure Deepak Malghan, an assistant professor in the institute. The trigger for IIMB’s actions is ostensibly Dr Malghan’s suggestion in an email that students hold Hindustan Unilever to account for the irreversible damages caused by its factory to the ecology of Kodaikanal and the denial of the rights of communities to a healthy life. For its part, IIM-B justifies these actions as a defense of the interests of its “stakeholders”, that presumably includes Hindustan Unilever. Even a student would know evoking stakeholder interests cannot ignore the weaker entities affected by an organization’s actions. In a stunning display of partisanship, IIMB has chosen to prioritize the interests of its most privileged stakeholders while reprimanding Dr. Malghan for seeking to defend the interests of the communities that, being a public-funded institution, IIM-B has a duty to defend. It is expected of corporations to curtail voices of individuals and groups who consistently expose corporate hypocrisies. Tactics for suppressing critiques from within the academia may include threatening administrations with withdrawal of funding of professorial chairs, with exiting from recruitment, or with denial of lucrative management development programs; each of some of these methods may have been deployed in this case. An administration with moral and intellectual spine would have withstood such pressures and reaffirmed the importance of the free exchange of ideas for research and teaching. Instead, IIM-B’s decision to censure Dr Malghan is a shocking display of submission to corporate bullying. This meekness is a symptom of an affliction by a malaise known to infect business schools in general – the substitution of “higher aims”, in this case academic freedom and defending the weak, with an eagerness to become “hired hands” groveling in the service of corporate greed. We request the Board of Governors at IIM-B to reverse the decision to censure Dr Malghan, and thereby reiterate the protections of academic freedom at IIMB. If schools at the forefront of education like IIM-B can be bullied into submission, our entire higher education system risks losing its spine to ever stand up to forces inimical to social justice. The reversal will also be a message of reassurance for the academic community in India.We affirm our support to Dr Malghan in his efforts to secure environmental justice. We thank Dr Malghan for reminding faculty members and academic leaderships across the country that basic principles of an academic life involve courage in speaking truth to power and a commitment to transforming students into critical citizens and empathetic human beings.